Some Filipinos are tired of the usual gin-pomelo, gin-guyabano and other gin-fruit juice mixes when spending the nights drinking in the Philippines. 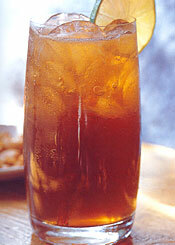 If you want to have different taste for the night, better try the Emperador Brandy Coca-Cola Mix. If you have learned this , you might as well love and appreciate the taste and kick of brandy. Do you know this? When you happen to pass by on the streets at nights in the Philippines, you can see some group of men who are drinking at nights outside their houses. Notice what is their favorite drink. It's gin. It is the cheapest alcoholic beverage in the Philippines. Ginebra San Miguel is the Philippines' leading gin. 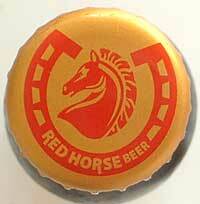 From the makers of San Miguel Beer comes the Red Horse Extra Strong Beer. When people like it big and strong with the distinct flavor that only San Miguel Beer can produce, order this product and customers will keep coming back for more. A popular beer in the Philippines served at nights in mostly Philippine night spots. Many Filipinos love to eat balut at nights . Balut is a fertilized duck(or chicken) egg with a nearly-developed embryo inside that is boiled and eaten in the shell. In the Philippines it is popularly believed to be an aphrodisiac and considered a high-protein, hearty snack, balut are mostly sold by street vendors at night almost everywhere in the Philippines. They are often served with beer when drinking at nights. The Philippine nightspots usually offers the best beer in town. I am talking about the San Miguel Beer or SMB. The san miguel beer is the most popular beer in the Philippines and it is exported to 40 different countries. It is among the world's largest selling beers and among the top three brands in Asia.